Ecological Footprinting analysis shows that if everyone in the world lived like a European then we would need 4 planets to sustain us. If we all lived the average American lifestyle, we’d need five planets to sustain us. 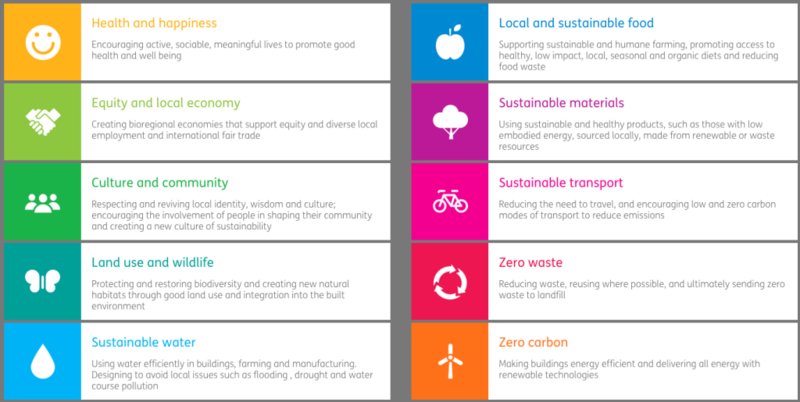 One Planet Living® is an initiative based on 10 guiding principles of sustainability developed by BioRegional and WWF. The framework aims to make sustainable living easy and affordable for all. This entry was posted in oneplanet. Bookmark the permalink.